Traditional Greek music and Greek classics. Aiming to revive invaluable elements of old folk and urban Hellenic songs in an entertaining context. The London Greek Collective encapsulates the warmth, quality and authenticity of traditional Greek culture. Their instrumentation variably includes bouzouki, violin, guitar, percussion, accordion, lyra, kanun, baglama, piano and cello. 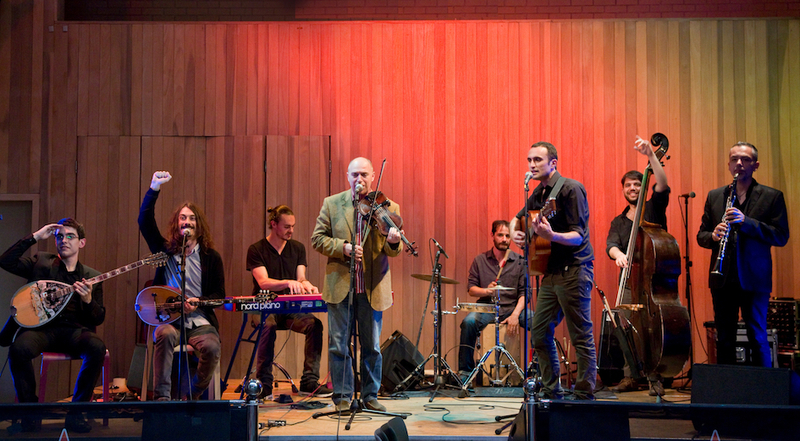 Their repertoire spreads to hundreds of tunes from all over Greece and Cyprus. 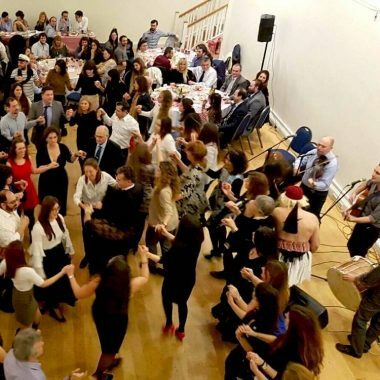 It ranges from classics like Zorba the Greek and Never on Sunday to modern compositions and traditional songs like Tsamikos, Kalamatianos, Syrtos, Mantilatos, Pentozalis and Ikariotikos. ”Hello from India. Just to say a huge thank you for the most wonderful performance at our wedding. Everybody was amazed! The videographer will send you a YouTube link of the band. Feel free to put a link on facebook and also to paste a link on my facebook page as my friends & family are dying to see it! Thanks again”. L. Ar. ”…..Thank you for playing at our wedding and travelling for us. We had a brilliant time and you were a big part of making the day special for us and our guests. I also want to thank you for your professionalism throughout, you were a pleasure to deal with and always made us feel at ease. All the best” P. E.